For cinema goers, 2012 opened with Thatcher: the Movie, here we have another chance to see a major political figure of the 20th century and see a Hollywood star walk the fine line between impersonation and insight. And in J Edgar there is also star power behind the camera in the form of Clint Eastwood who has proved himself a skilled and interesting film-maker. This can also be viewed as the second in a right-wing trilogy to welcome 2012 – 'The Iron Lady', 'J Edgar' and 'W.E. ', where we are asked to forgive the protagonists because they got old and anyway Denis, Clyde or King Edward loved them! Unlike Margaret Thatcher, J Edgar Hoover, the founder of the FBI and eminence grise of 20th century American politics has been portrayed many times on screen, sometimes as hero, far more often as a villain - a physical and metaphorical ‘heavy’. But DiCaprio gives a more nuanced performance and here we get to see the young idealist who began his career with the desire to catch bad guys. But even in these early days he is already creating his own myth. We see the young bureaucrat taking an attractive young typist, Naomi Watts, on a date to the Library of Congress to show her the cataloguing system that he created! We also see his recruitment of the handsome Clyde Tolson, Arnie Hammer. And here our trio of heroes decide to dedicate their lives to crime fighting. But here we meet the film's first problem: is Hoover a hero or a villain? Are we to believe the memoir he dictates to a series of attractive young agents? Is this a story of US politics in the 20th century, influenced as it was by Hoover and his attitudes to crime and to communism or the story of a man who cannot escape the malign influence of his mother, Judi Dench? If it is history, then there are many flaws. Viewers who are unaware of the events, will find it difficult to work out the characters' identities or their importance. Hoover's racism, his decision to ignore organised crime and his power over a series of presidents are ignored. The political effects of his exaggeration of the threat of communism are also untouched. Is the audience to agree that civil liberties must be sacrificed in the face of threats, and is this a message for contemporary viewers facing a similarly purported threat from militant Islam? The second major problem is the script's treatment of the relationship between Tolson and Hoover. It is impossible to know if this was sexual, neither man appeared to have a relationship with a woman and everyday they would lunch and dine together. Tolson is portrayed as if he is auditioning to replace Gok Wan and while advising Hoover on the purchase of a suit actually uses the phrase 'fashion forward' – which seems rather anachronistic. The one scene in which the relationship appears to become physical is almost laughable, I am afraid I never believed in this couple and their behaviour. This also brings me to the major issue of the whole production – the make-up. Described as 'prosthetic appliance fabricators', they give the impression that the actors are struggling through layers of foam rubber, it is like watching masked performers. There were times that I wished Eastwood had used CGI as the results would have been more life-like! Oliver Stone's infinitely superior 'Nixon' showed that a politician's actions can be explained by his personal background, but this does not free him from responsibility. Hoover had a horrible mother, but this does not absolve him from the sins of racism and corruption. 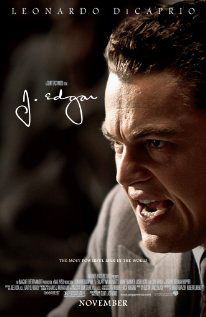 'J Edgar' could have been a great film. 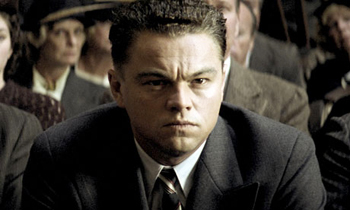 DiCaprio has already shown his skill in portraying an American legend in 'The Aviator'. Naomi Watts and Judi Dench make real women of what could have been caricatures. Eastwood is a consistently great director. And writer Dustin Lance Black is the Oscar winning creator of 'Milk', which treated another controversial political figure and presented credible gay relationships. This is the film that the Oscars forgot and unfortunately I can see why.